physics.addParticle(p1);//referencing the main here! Outside the scope of this function! image(drop,vec1.x, vec1.y); //calls the image from outside the scope! // initialise the sky: place all the stars from the array into it! //and make it a random size! 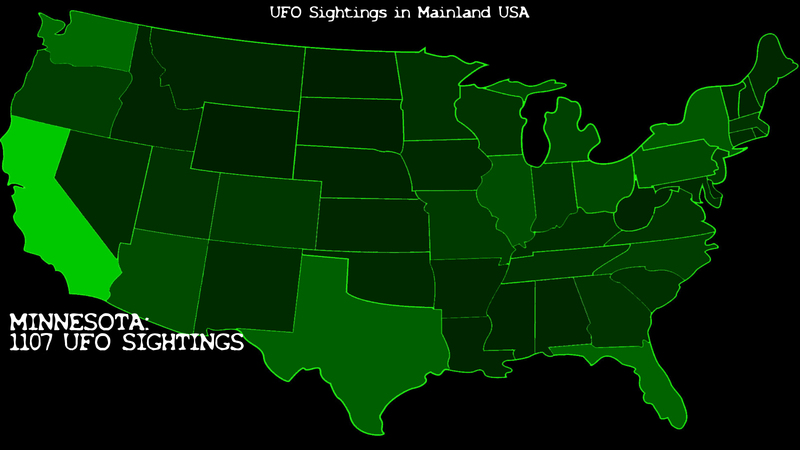 My final project for the class is a data-visualization about UFO-sightings in the United States, accompanied by narratives of some of the reports. 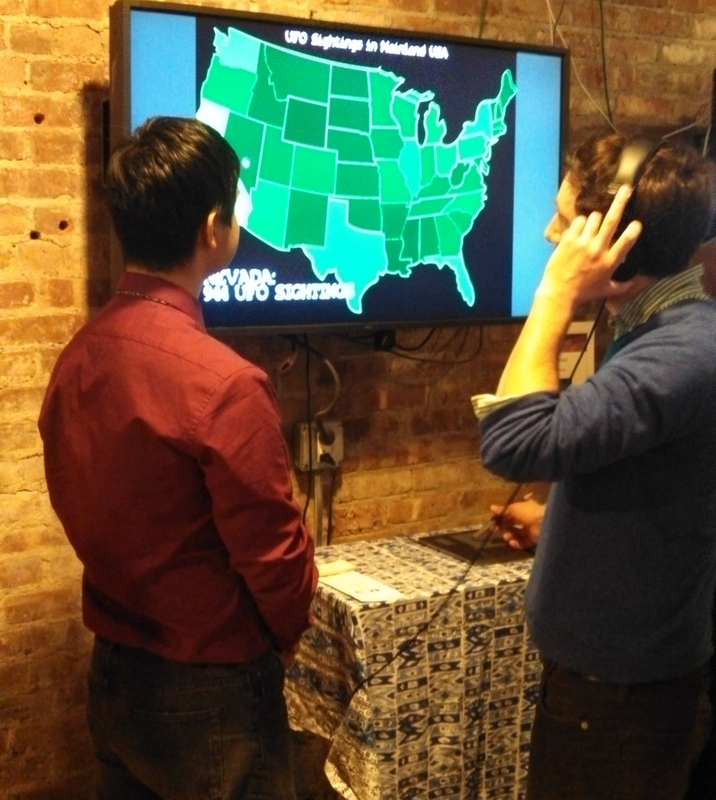 It was showcased in the ITP Winter showcase. //click on a State. Show the description. //**************************************IMPTNT! This prevents the activation of a new state upon clicking on it to get rid of the description screen. 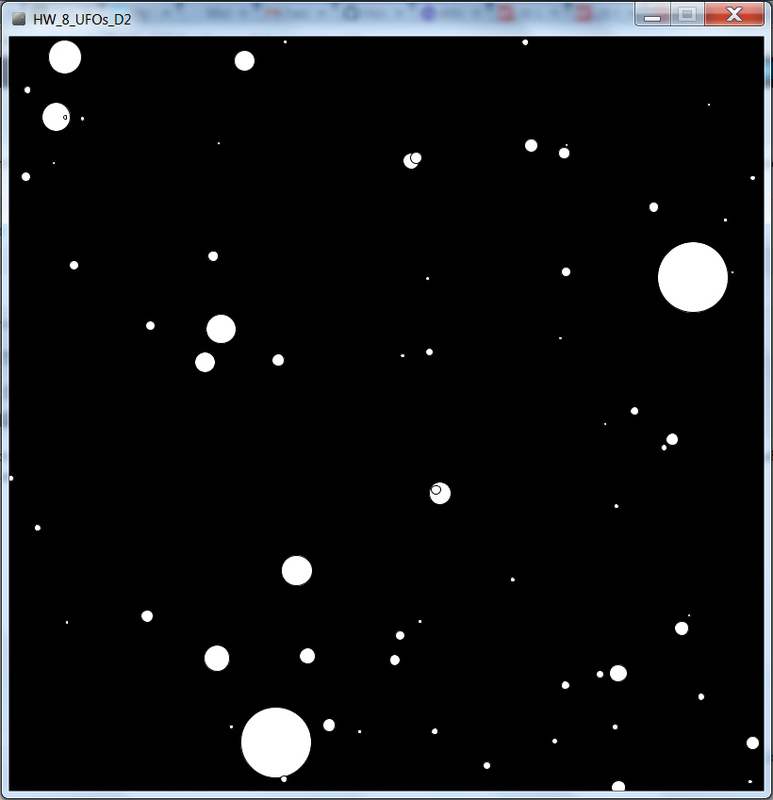 This week we were supposed to use a physics engine to make something cool. 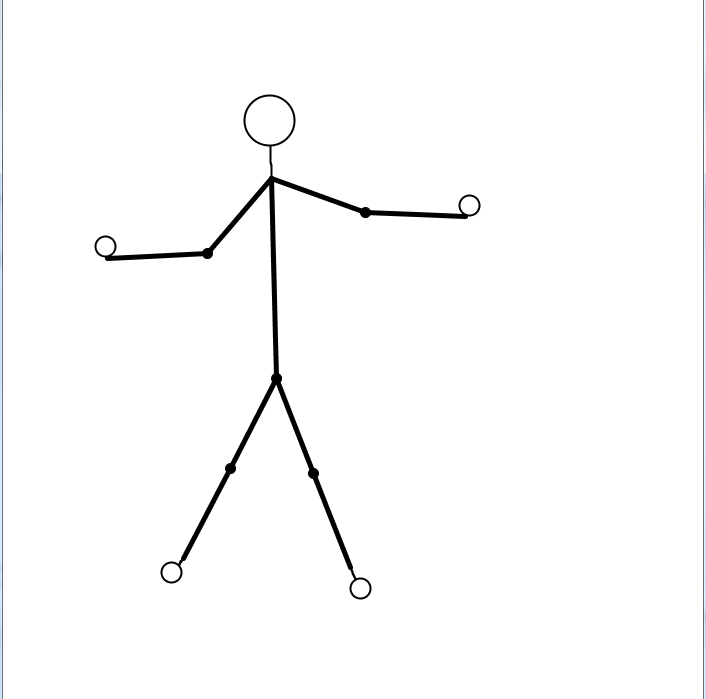 I made a doll whose hands and feet you can move about: the rest of the body will follow! Woot! This week, Dan Shiffman asked us to try and incorporate more complex class-mechanics (that sounds so D&D…) into our programs. I had am ambitious idea of making a microbiology game in a couple of days… Needless to say, I decided to turn this into a multi-week project! A glance at the syllabus shows that I’ll probably need to use material from future weeks in this project, so all is well! The game (which I may call “Bacteria Builder”) puts you in the shoes of a genetic engineer tasked with building different bacteria to suit certain needs. You’ll be able to upgrade certain organelles (such as a gain a sturdy cell-wall for protection, or a flagellum for motion etc.) but you’ll only have a limited number of upgrades to pick from and you’ll have to decide which ones are right for the task. // I got the loading screen and basic functionality to work! //fonts>>> Remember to set these! //define rectangle and round, for ease of use. Used for the shaper of the interactable. //Instantiate the interactables used, and their colours. //list of all interactable elements in the game. // disply all interactables. Remember, only the ones marked true for the "shown"
void display(PFont ftemp) //actually displays the interactable. Needs to take in font! void show() // changes the "shown" variable to true. void activate () //changes the active variable to true. Takes in MouseX, MouseY and checks if its within the button's bounds. This week, we were asked to incorporate object-oriented programming. I wanted to make something more interactive and game-like, something that random users could have some fun with. I also like incorporating fantasy elements into my work, so I decided create a little spell-casting app! An few hours of research and several hours of coding produced a clickable, modified Armanen rune system. Hovering over each rune brings up a larger image, its name and its associations, while clicking on it also “casts” a spell and generates a description of its effect. Each spell has more than one description!